Landing in the dog house isn't half bad if you own one of these dwellings. Yes, dog houses have in fact come a long way. There are options out there that are doggone modern, to be exact. Check out eight of our favorites below. 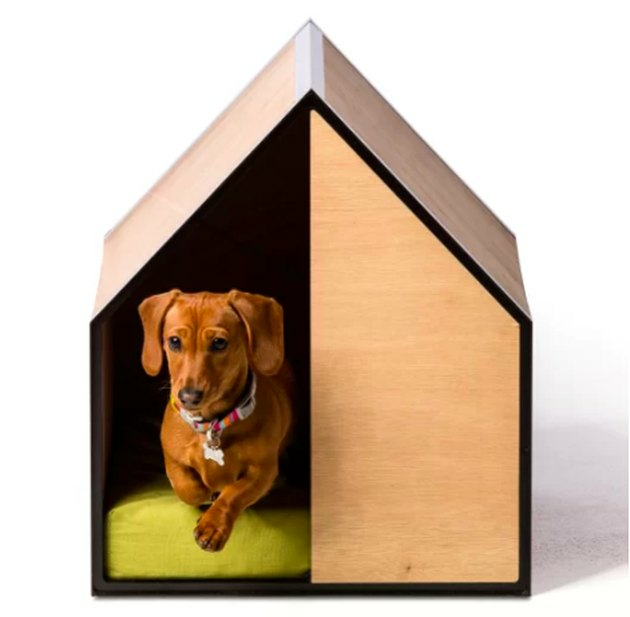 This sleek doghouse was designed with minimalism in mind. It's not only beyond stylish, but also super comfy, as it has a memory foam mattress inside. Your pooch will be sittin' pretty, that much is for sure. 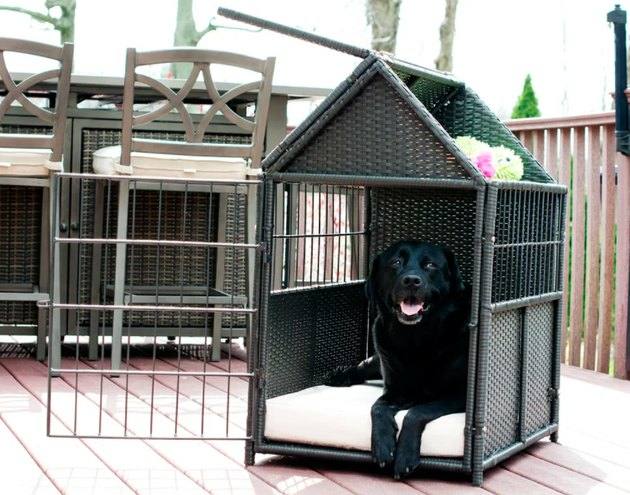 Your dog will be the coolest pup on the block in this architectural abode. 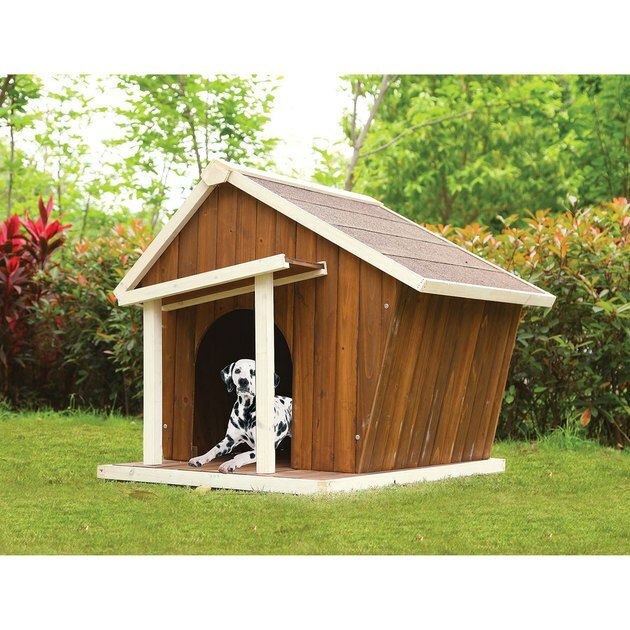 It has a slanted roof to prevent water accumulation and a raised floor to keep Fido dry, too. This house-shaped crate has a tropical feel with its palm-stem construction. And the fun part is you can store toys and leashes in its "attic." 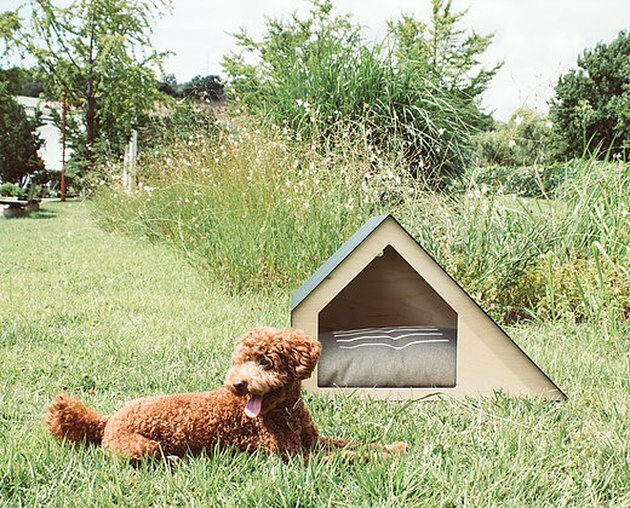 This minimalistic dog house even has windows for Fido to look out of! Luxurious. 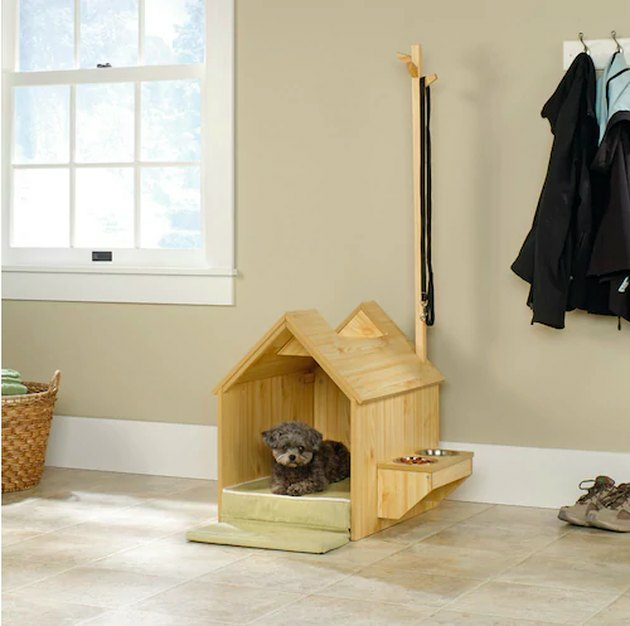 This dog house has so many adorable features that it's unreal: There is an elevated food and water shelf with stainless steel bowls, a tree rack for holding leashes, and a comfy cushion inside. 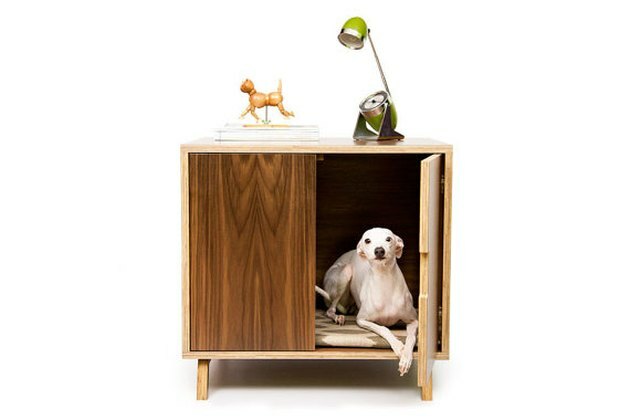 What a suave pooch in his very own midcentury cabinet/bed! This gem from Etsy will fit right into your modern home. 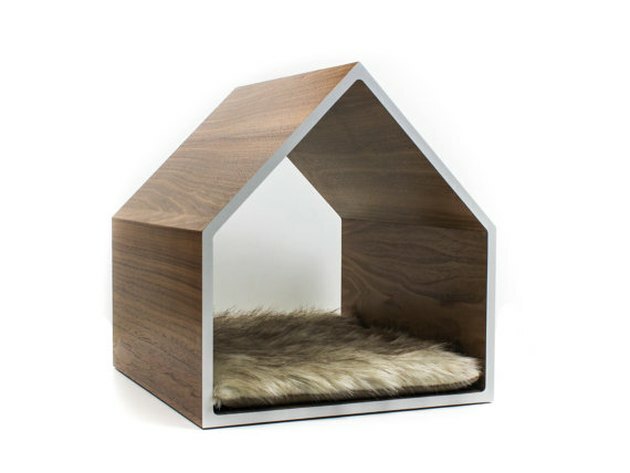 This modern take on the dog house from Etsy is for dapper dogs only. It's meant for the indoors and is accented perfectly with a fur cushion inside. 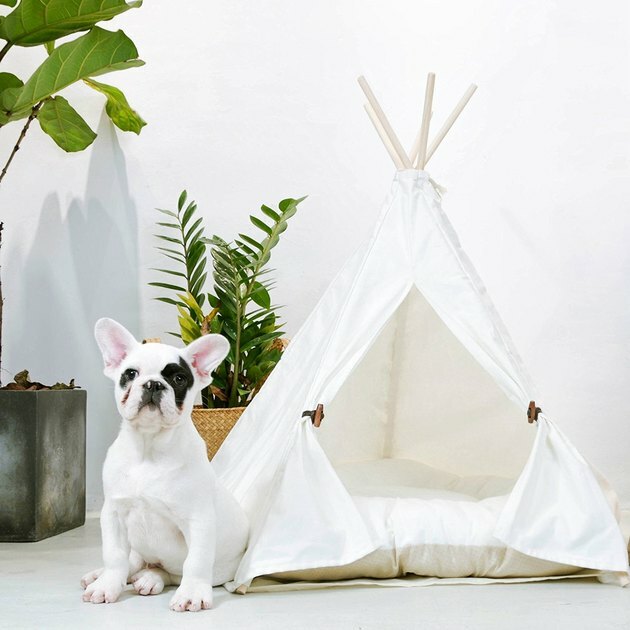 Dog teepees are another great indoor option. This one is made of washable cotton canvas and is begging to be placed in a boho-chic space.